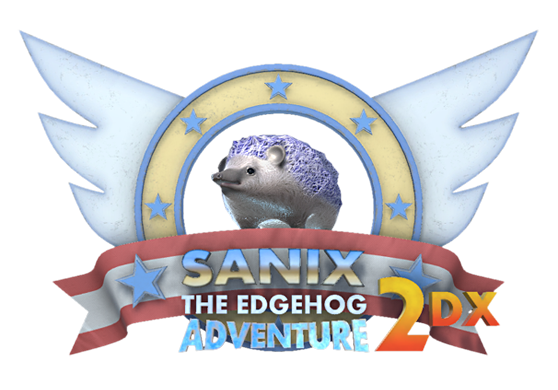 Sanix the Edgehog Adventure 2DX is a free unofficial parody fangame based on Sega's "Sonic The Hedgehog". Use AWSD or arrow keys to move. Move mouse to control the camera. Use mouse wheel to zoom in and out. Press Esc for the pause menu. This demo build includes 3 levels. Feel free to rate, comment & subscribe! Unpack zip. file and play! Even if this was just a small game demo, it was still really funny and lots of fun! great job on it, i look forward to seeing even more levels or what you come up with next! By far my favorite game on this entire website no joke. I love the music its great. I love the art style. I even made a video on this it was so fun!I would definitely recommend playing this! if you wanted to see my reactions towards this game click here! Enjoyed the music and the game, would love to see more levels. This was WAY better than I thought it was going to be!! Sanix- proud owner of gaming's most adorable tongue animation. Thank you for playing, glad you enjoyed it! Thank you for the video gameplay! Will you release a Mac version? I played and streamed this game, it was actually more fun that I thought! It was a bit short but it was actually playable compared to how other fan parodies are. Thank you! Thank you for taking the time to play the demo and give feedback on the game! -the shoes were really great. flying around in them was super cool, wish I could have used them more. probably my favorite part of the demo. the whole thing was just funny too. The hedgehog himself, the music, enemies, all of it just made me smile. I'm excited to see the finished product. Thank you for your comment pointing out some bugs and suggestions for improvement! I fixed the defective savepoints and a couple of other things.